Is Dropbox under attack? If so, why? 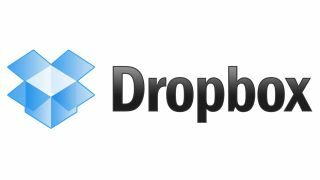 The Dropbox cloud storage website went down on Friday night, with the hacking collective known as Anonymous, seemingly awoken from its recent slumber, claiming responsibility. At the time of writing, the Dropbox.com site is showing an "experiencing issues" message, ensuring the service is unavailable for some users. In a post on its official Twitter account, the hacking collective wrote: "BREAKING NEWS: We have just compromised the @Dropbox Website. http://bit.ly/1cMlbvt #hacked #compromised." The alleged hacking comes on the eve of the anniversary of death of internet activist and hacker Aaron Schwarz who tragically committed suicide following legal persecution in January 2013. Dropbox meanwhile is claiming that the issue is the result of a problem that arose during "routine maintenance" rather than any malicious attack. In the message on the inactive Dropbox website the company wrote: "We are aware of an issue currently affecting the Dropbox site. We have identified the cause, which was the result of an issue that arose during routine internal maintenance, and are working to fix this as soon as possible. We apologize for any inconvenience." We'll update you should there be any developments in this breaking story.